Do you love taking photos? Of wildlife? Of rolling landscapes? Portraits of everyday life? Me too! I have a camera with me in some shape or form almost every waking hour of every day, but I’ve never thought of myself as a ‘photographer’. 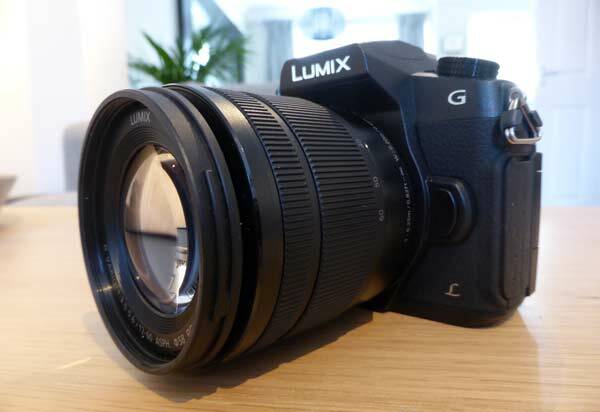 So, I was thrilled to receive an email late last year from Panasonic inviting me to test and review their new Lumix G80 Micro Four Thirds camera. I’ve picked up quite a bit of photographic knowledge over the years but I’m certainly not an expert so if you are reading this hoping for an in depth review of the finer specifications and features of the Lumix G80 then I’m afraid you’re looking in the wrong place. 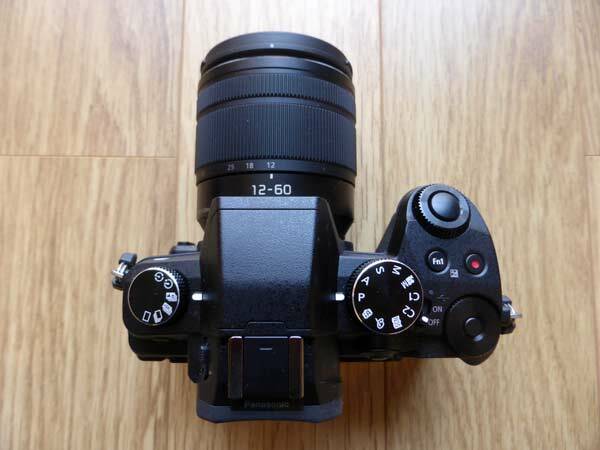 Do a quick search online and you’ll find lots of excellent detailed reviews like this Lumix G80 review by Ben Porter. There are many others too but to be honest with most, with the exception of Ben’s in this instance, I find myself skimming over most of the technical stuff and concentrating on how the camera made the user feel. So, in this review I’m going to outline the key features with as little technobabble as possible and try to answer whether the G80 covers my needs as a keen amateur photographer who also likes to record videos too. The Lumix G80 is a mirrorless micro four thirds camera. What does that mean? Well, it uses the latest cutting edge technology to reduce the size of the electronics and optical set up inside the camera to make it smaller and lighter than a standard DSLR camera. This also has the knock on effect of enabling suitable lenses to be smaller too. Add in a generous sprinkling of top end features that you won’t find on many top end DSLR cameras and you’ve got an interesting little package. How does the G80 look and feel? If you’ve ever used a DSLR camera then the Lumix 80 will feel very familiar. Although extremely lightweight at 505g (with battery, SD card but no lens) it feels incredibly solid, thanks in no small part to the magnesium body and great quality plastics. The addition of splash proof seals means that you can take this little beast with you on your outdoor adventures and not worry about a few splashes of rain. Take a look at the images below. 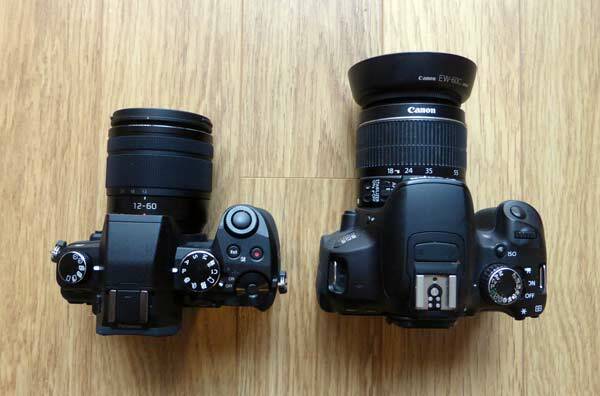 Here you can see the Lumix G80 next to my Canon 650D. As you can see, the G80 is considerably smaller. I was a little concerned that its compact size may affect its handling but I found the variety of dials, switches and function buttons logically laid out and a dream to use. There are two main dials on the top of the camera either side of the built in pop up flash. The one on the right allows you to select and control a variety of camera settings such as aperture (A) or shutter (S) priority, full manual (M) control (photo or video) and also select a variety of filters and presets. Don’t worry if this all sounds a bit complicated, there’s also a fully Auto mode too. Leave the camera in Auto and the G80 does an excellent job of handling most of the technical stuff leaving you to enjoy taking the photo rather than worry about whether you’ve got everything set up correctly. The dial to the left gives you control over various shooting modes including single, burst, timelapse or the exciting 4k photo and post focus modes, but more about those last two later. The front and rear dial to the right of the camera body can be used to adjust aperture value or shutter speed depending on which mode the camera is set to. The red dot button starts and stops video and the button marked Fn1 is one of five buttons you can customise to almost any setting you like. Chances are you’ll leave most of them at their factory standard setting but it’s great to know you can tweak them if you need to. The rear of the G80 incorporates an excellent flip-out LCD touchscreen. This is such an invaluable feature for a number of reasons. I’m often wandering around the garden or hedgerows on walks, finding myself in a tight spot with the camera low down to the ground or at an angle where I can’t bring my eye to the viewfinder. This isn’t an issue with the flip-out screen as I can easily articulate it to adjust framing, focus or a number of other settings with just the touch of the screen. I also do quite a bit of vlogging and find a camera with a flip out rear screen invaluable. The G80’s screen can flip out and twist through 180 deg allowing me to easily ensure I’m framed correctly when in front of the camera. My only slight criticism here is that the external mic output is on the same side as the flip out screen. This means that part of the screen is partially obscured when you plug in an external mic which you will very likely to do if you are serious about creating the best audio possible for your videos. The built in digital viewfinder is also a bonus too especially when you are out and about in bright sunlight. Another neat little feature is a sensor just above the viewfinder. The idea is that this will detect when you bring the camera up to your eye and automatically switch from the touchscreen to the viewfinder. In practice this can be a little annoying especially when you are holding the camera down at a low level to take a photo. If your hand happens to get close to the sensor it will switch off the touchscreen display in favour of the viewfinder. I done this several times when I first started using the camera but luckily you can turn this auto switching function off using the Fn5 button. I’ve only scratched the surface of what the G80 has to offer but there are five key standout features that I wanted to mention. The Lumix G80 incorporates 5-Axis DUAL in body image stabilisation. I found this incredibly affective at reducing handheld camera shake when I’m out and about. Add the 12-60mm kit lens with its own image stabilisation and they work effortlessly together to enable you to get crisp shots even in surprisingly low light conditions. I’m excited by the prospect of being able to record video in 4K. Since getting my hands on the camera my life has been taken over by a rather complicated and fragmented house move which has meant I haven’t had a chance to get fully to grips with the video potential of this camera. This is something I will be exploring and sharing over the coming months. I hear good reports from others who have experimented with the video capabilities though. Video quality is said to be excellent and the dedicated video mode allowing you to adjust a number of settings including recording quality, aperture, shutter speed and sound levels, is said to open up a wealth of creative opportunities. I can’t wait to explore this further. Selected using one of the dials on the top of the camera, 4K Photo mode is perfect for capturing high speed action shots. When in this mode the camera will take a short burst of images in a similar way to how it records 4K video but instead of creating a video file it saves the frames as a series of individual 8MB images. You can then slide back and forth through all these images to find the one you wish to keep. This can be done in camera or on your desktop using photo imaging software such as Lightroom. This is an amazing feature and I’ve had great fun experimenting with it. There are one or two little niggles that take a bit of getting used to, such as getting your timing right (you only have 1-2 seconds to capture the right moment each time you press the shutter release) and the fact that there is a slight delay between the time you press the shutter and the camera actually starting 4K recording. Once you get to grips with it though you’ll find yourself looking for fast moving subjects to capture everywhere. I have experimented with trying to capture birds visiting the bird feeders in my garden. I haven’t quite perfected the technique yet but when I do I’ll be sure to share some of the pics. This is another innovative addition that I was incredibly excited to try. I’d read about it in various articles but never had a chance to play around with a camera that had this feature…until now. The G80’s post-focus mode allows you to change the focus areas of an image – even after shooting! That’s right, you can adjust what area of your image is in focus AFTER taking the shot. Just imagine, you’re capturing a crowded scene in a busy street, or you are photographing your son or daughter surrounded by friends and family, blowing out the candles on their birthday cake. Imagine being able to snap away without worrying about focussing on the right face at the right moment. Well, in post-focus mode, you can. Post-focus mode also comes into its own when you are capturing images at very close range. If you’ve ever tried your hand at macro photography you’ll know how incredibly difficult it can be to get your subject in focus. This is because at those close ranges the depth of field (the area of the image that is in focus) is incredibly shallow. Post-focus mode works in a very similar way to 4K Photo mode but instead of recording a burst of shots at high speed it automatically captures a high speed burst of images and finely adjusts the focal point between each frame. You can then view this file and touch different areas of image on the touchscreen to automatically switch the focal point to that position. You can then save your chosen images as individual files. I LOVE this mode! I can’t wait for spring to arrive so I can get outside and start exploring emerging insects and flowers bursting into bloom. As with many new cameras these days the Lumix G80 has wifi functionality built in. 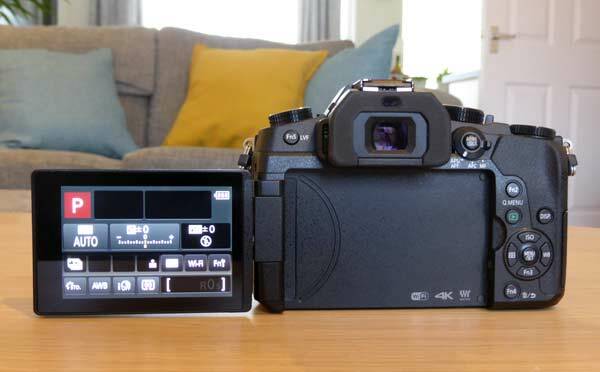 With the use of the Panasonic Image App you can effortlessly connect the G80 to your smartphone and transfer images between the two. This is perfect for when you are out and about and want to share that unmissable moment instantly. It’s also possible to control a number of settings on the camera remotely via the app on your phone. I plan to use this in conjunction with the 4K Photo mode overlooking the bird feeders in my garden as soon as time allows. I’m hoping for some cracking shots and will be sure to share any I capture. 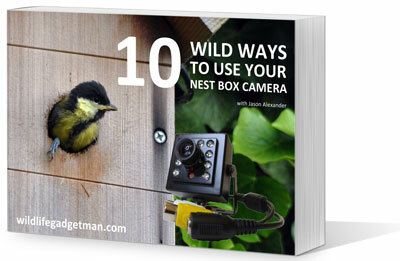 I couldn’t finish this review without a quick mention of the kit lens supplied with the G80. 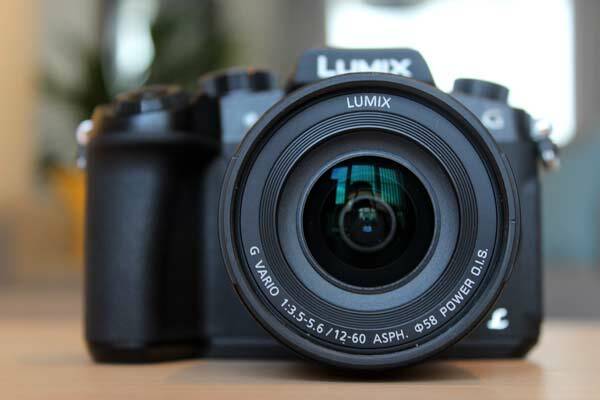 The Panasonic Lumix 12-60mm f/3.5-5.6 Aspherical Power OIS lens is compact and potentially very versatile. With an equivalent 35mm focal range of 24-120mm this may be the only lens you will ever need offering a good balance between wide (ish) angle for landscape shots and a telephoto reach equivalent to 120mm. I have a sneaky suspicion though that this lens and camera combo will ignite a spark in even the most casual snapper that leads to the desire to experiment and progress onto other lens options. So what do I think of the Panasonic Lumix G80? Well, in case you haven’t guessed already, I was extremely impressed. I haven’t had a chance to explore all it has to offer or get to grips entirely with some of the headline features but to be honest, I was hooked after the first week of using it. I felt the camera and lens combo was a triumph and I was more than happy with the quality of the images I was capturing. When out on my walks or exploring the garden I would usually be carrying my DSLR round my neck fitted with a 18-55mm lens. A 55-250mm lens in one pocket and my Lumix TZ40 in the other. Since getting my hands on the G80 it’s been my go to camera for almost all occasions. My other cameras have been having a well-deserved rest in their kit bag which may well turn into permanent retirement. I look forward to exploring the full potential of the Lumix G80’s 4K video, 4K Photo and post-focus features and will be sharing my experiences in future blog posts. I’ve already captured one or two #unmissablemoments with this great bit of kit and I look forward to capturing many more. If you are looking to upgrade from your compact camera or are looking for a less bulky alternative to your DSLR and lenses then check out the Lumix G80. It’s definitely worth adding to your shortlist.